Just like I didn’t intend to start a fountain pen collection, the watch collecting bug bit me by chance as well. I’ve had various watches throughout my life before this, the most recent being a Timex Expedition that my parents gave me when I began my flight training in 2001. I still have that watch, and until recently, still wore it somewhat regularly. 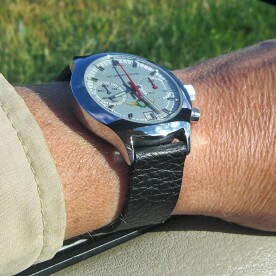 Strela "Agent" 3133 Chronograph. This is the one that started it all but I let it get away. Photo courtesy of B. Lindekens. This all changed in late 2012, when a Fountain Pen Network member advertised a Russian Strela (“Стрела”, meaning “Arrow”) watch in the classified section of the forum. 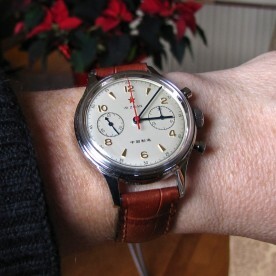 This elegant hand wound mechanical chronograph caught my eye, but unfortunately someone beat me to it. 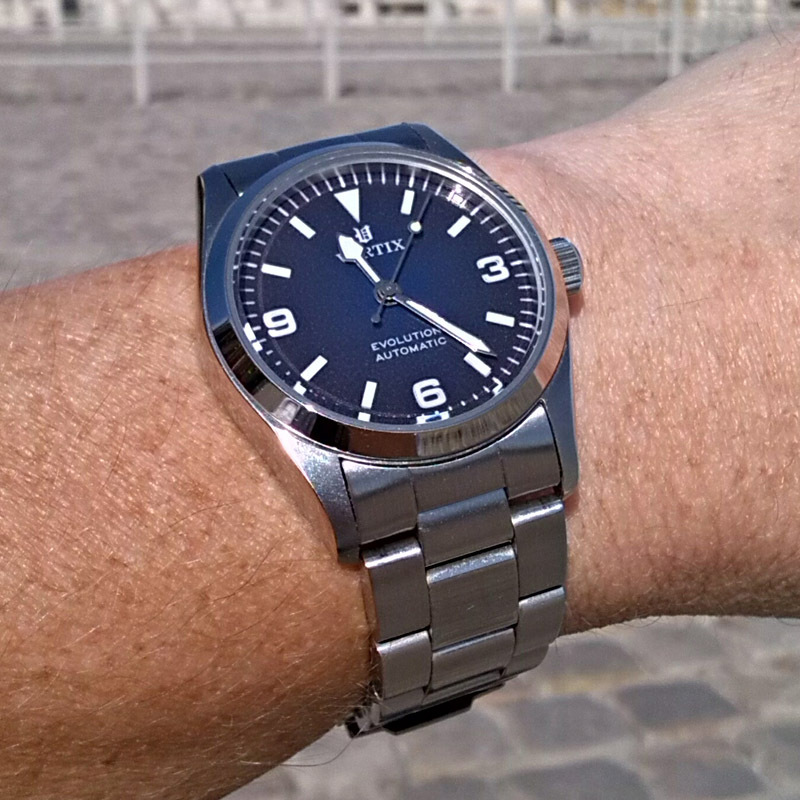 I did a bit of searching, joined the WatchUSeek forums, and discovered Poljot24, a well regarded Munich-based on-line reseller of this line of watches (and other Russian watches). After some e-mails back and forth with proprietor Julian Kampmann, I decided which model of Strela I wanted, and my collection began. Here I give a brief overview of the watches in my collection, in the order that I acquired them (with one exception). 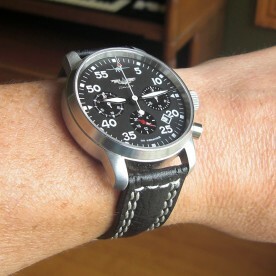 As time permits, I will write a more detailed review of each watch in a separate article. 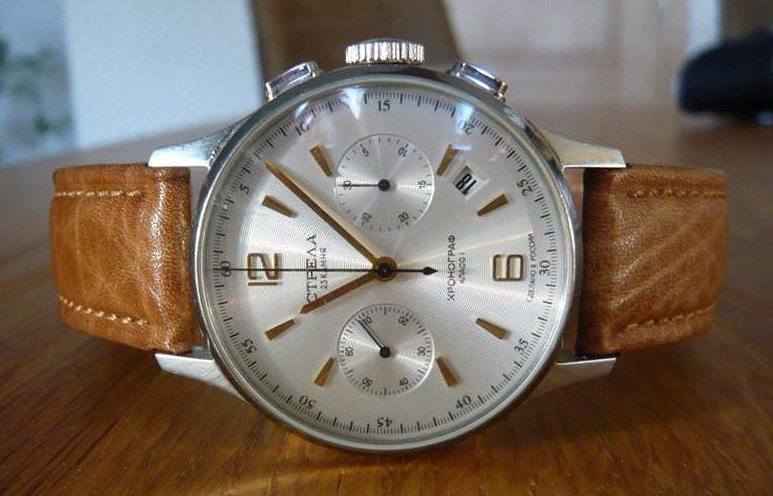 February 2013 – The original Strela was made by the First Moscow Watch Factory (1МЧЗ) during the Soviet era, and was based on the 19-jewel 3017, a column-wheel chronograph movement. This modern reissue is made by Russian watchmaker Maktime, and is based on the newer 23-jewel 3133 lever-actuated chronograph movement with date complication. By today’s standards, this is not a huge watch, but it’s not exactly small either, at 38mm (1.5″) diameter not including the winding crown, and just over 12mm (0.5″) thick. There are many models in the Strela line-up, differing only in the style of the dial and hands. Strela chronographs are available from Poljot24.de. 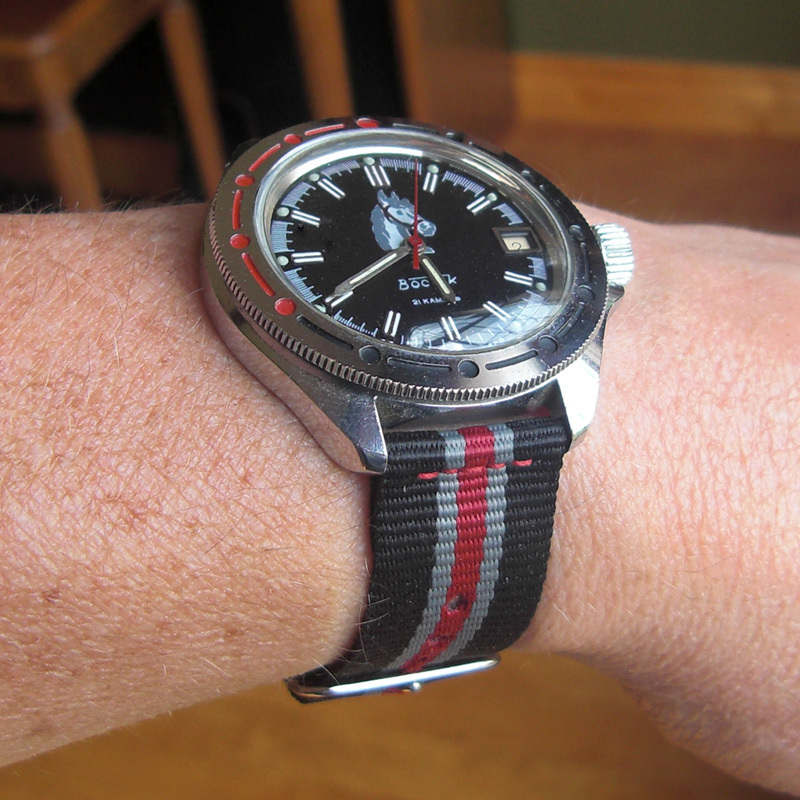 March 2013 – Vostok (“Восток”, meaning “East”) is a brand of generally inexpensive watches, and almost every collector of Russian watches has at least one in his or her collection. The Generalskie (“Генеральские”) line features chromed brass cases, usually fitted with a hand wound 17-jewel date movement and a military-themed dial. I purchased this watch with a paratrooper dial, but replaced it with an equestrian-themed dial from Vostok’s Amphibia (“Амфибия”) line of stainless steel 21-jewel automatic watches. 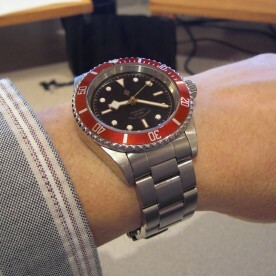 After correcting a problem with a tangle-prone hairspring, this has become my go-to watch for work around the stable. Vostok watches with this dial are sometimes available on eBay . 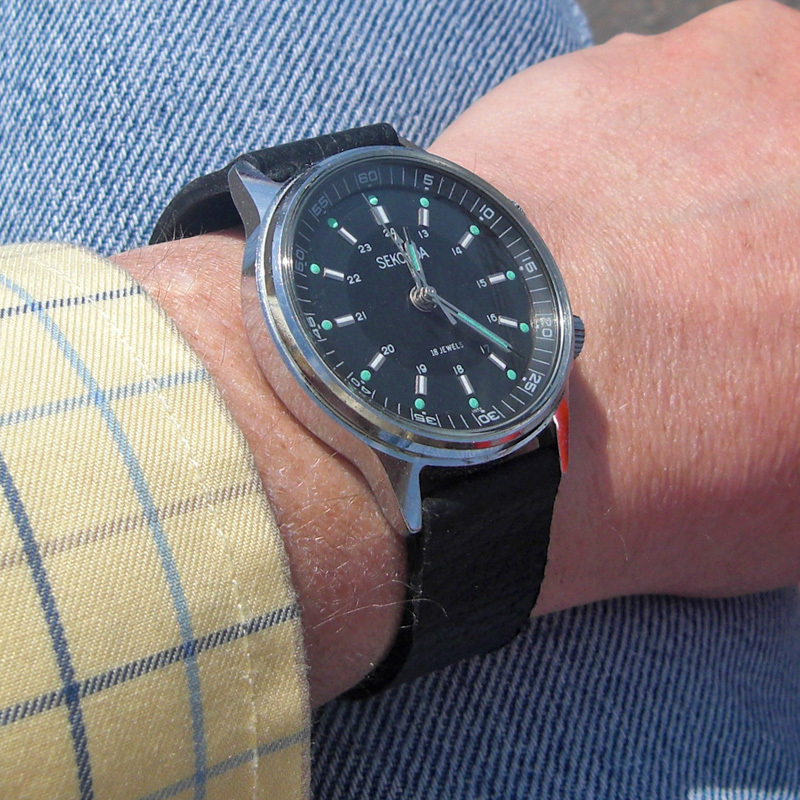 April 2013 – WatchUSeek’s Russian watch sub-forum has an ongoing “what are you wearing” thread, and this model of watch popped up frequently on peoples’ wrists. Made by the 1МЧЗ for British firm Sekonda, it was available in several styles, and also under the Russian Poljot (“Полет”) and Canadian Cardinal brands. Equipped with a Poljot 2612.1 hand wound alarm movement, Sekonda sold this model from 1990 to 1993. I purchased this well worn example from an eBay seller in the UK, knowing from the excellent photos that I was going to have to service it. After completely overhauling the movement and thoroughly polishing the crystal, this has become a reliable and sharp looking watch. Vintage watches like this are often available on eBay . Both new and vintage watches using the 2612.1 movement are available from Poljot24.de. May 2013 – I found this watch on eBay, but the seller was just one town away, so I was able to see it in person before buying. He was asking a very reasonable price, but restricting sales to Canada only, thus limiting my competition. 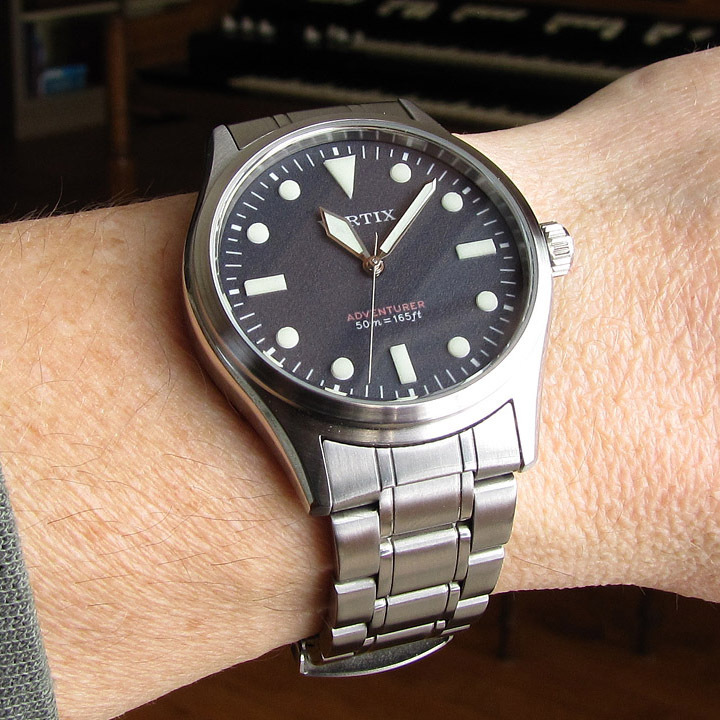 At 40mm (1.57″), this watch is slightly larger than my Strela, but combined with the narrow bezel and large high contrast dial, this makes it much easier to read. The movement is a Poljot 31681, which is a 3133 with an added 24-hour sub-dial at 6 o’clock (which unfortunately cannot be set to a different time zone). Unlike the all-Russian Strela, only the movement of the Berkut is made in Russia. The complete watch is assembled elsewhere, possibly in Germany. 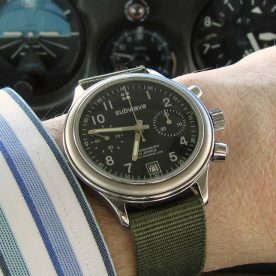 Pilot Berkut chronographs are available from Poljot24.de. July 2013 – Sturmanskie (“Штурманские”, meaning “Navigator’s”) was originally a 1МЧЗ brand featuring several styles of 3133-based watches. This particular dial is one of the most popular, and I liked it so much that I constructed a wall clock based on the design long before buying the watch. This is my oldest chronograph, with a Poljot-stamped 3133 movement instead of the Maktime-stamped versions found in my Strela and Berkut. Due to its age, the movement could benefit from being cleaned, oiled, and adjusted. It keeps good time over the course of 24 hours, but gains 10 seconds during the day and loses them again overnight. A huge variety of vintage Sturmanskie watches is available on eBay , and new ones are available from Poljot24.de. September 2013 – My collecting began with Russian mechanical watches, but somehow I became enamoured of the Omega X-33, a multi-function analog-digital Swiss quartz chronograph. Unfortunately, the X-33 is discontinued, and used examples routinely sell for $2000 or more. So instead of buying one, I decided to build my own. The NX01-X001 is one of several analog-digital models sold by Pulsar at the turn of the century. This one featured a hard-to-read negative LCD display, and a very scratched case and crystal. I spent a few months of spare time overhauling this watch, refinishing the case, converting the LCD to positive mode, luming the hands, making a new chapter ring, and installing a new sapphire crystal. The result is a one-of-a-kind watch that pays homage to the X-33 without being a blatant copy. You can read a detailed description of my modifications to this watch in my article, Velocimaster V-33: An Omega Speedmaster X-33 Homage. December 2013 – I really liked my Strela “Cosmos”, except that there were two small printing defects on the seconds sub-dial. Since the watch was still under warranty, Julian at Poljot24.de offered to either repair it (replace the dial), or replace it with another 38mm Strela of my choice. I opted for the latter, and chose this “Civil” model instead, since I wanted to have a slightly dressier watch in my collection. 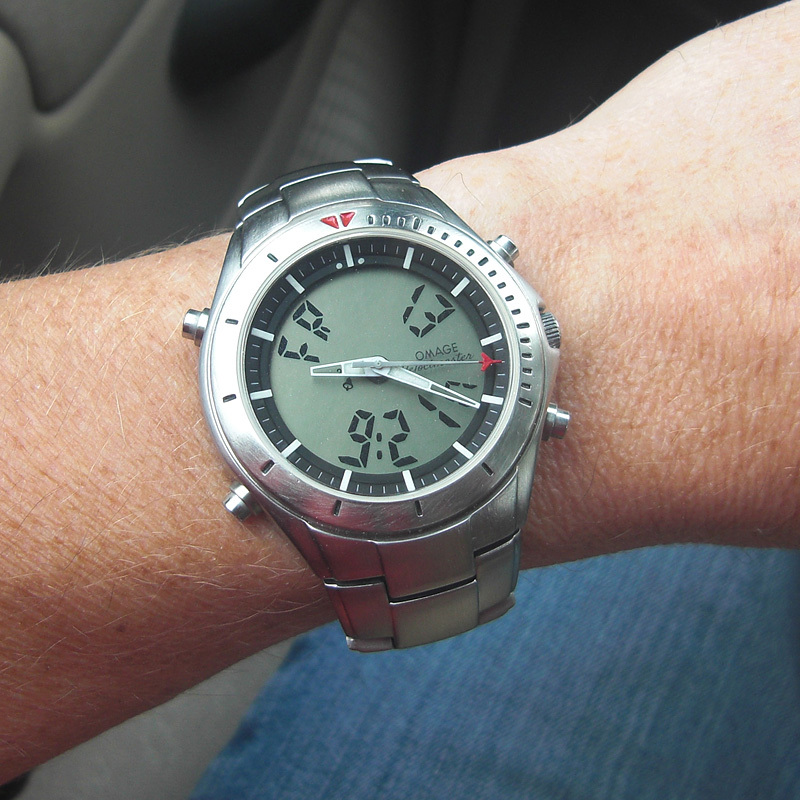 This watch is very similar to the “Agent” that I missed out on, except it has applied numerals instead of markers. 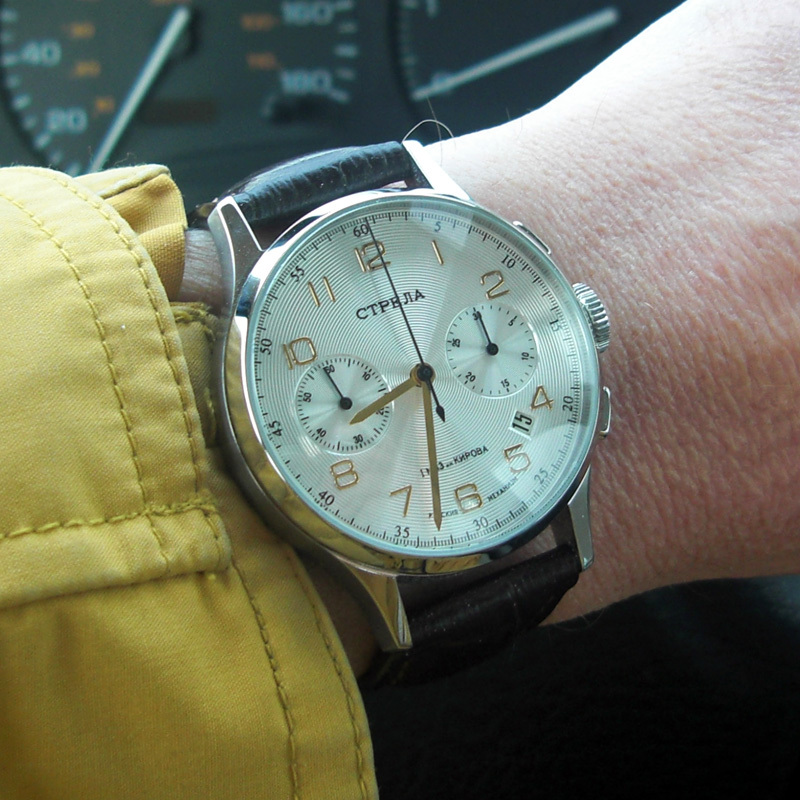 Unlike my “Cosmos”, this watch is labelled in Russian instead of English, making it feel more authentic. It also reminds me somewhat of the IWC Portugueser chronograph, a watch I’ve always admired, although it is far too large for my wrist. As it turns out, this watch is popular among the DIY homage makers, so appropriate hands and a dial to fit Seiko watches are readily available. Furthermore, Invicta has been using Seiko automatic movements in their latest Rolex submariner homages, so turning one of these into a Black Bay homage was a fairly straightforward project, although there were a few hiccups along the way. 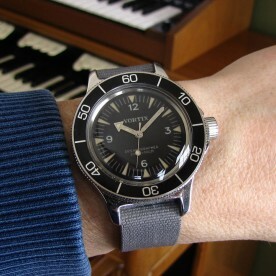 Here’s an article detailing the construction of this watch: Black Lagoon: An Homage to the Tudor Heritage Black Bay. 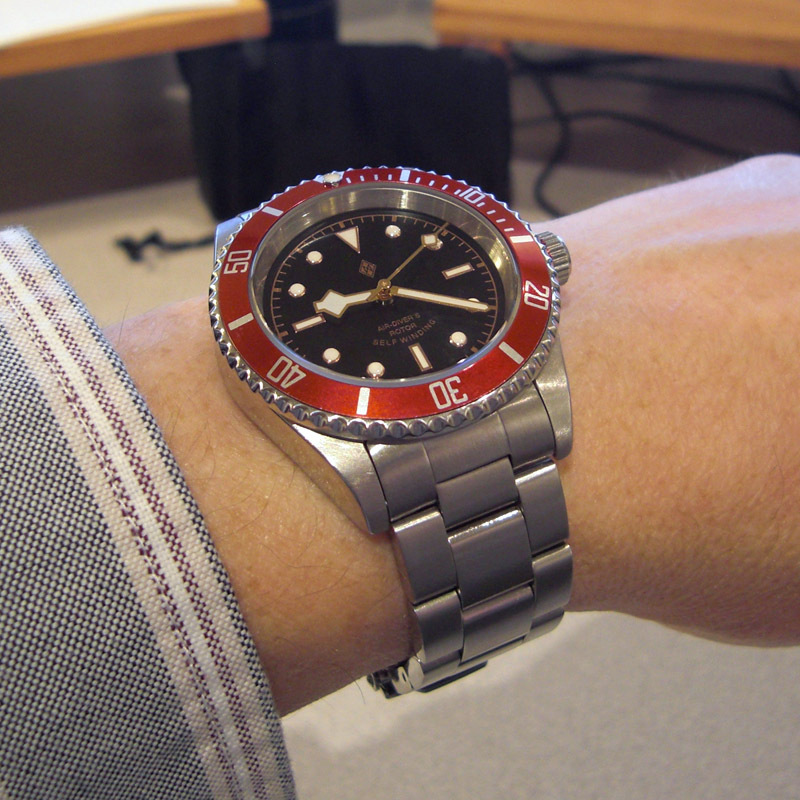 November 2014 – After the X-33 and Black Bay homages, I decided I wanted to do something a bit more original, borrowing a bit of this, and a bit of that, hopefully in a way that goes well together (which is sort of what Tudor did with the Black Bay). The Vortix “Adventurer” is what I ended up with. 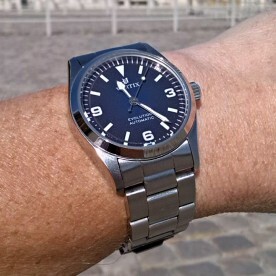 This watch started as an Orient “Chicane”, a 39mm Explorer-like watch that I purchased from Long Island Watches at the clearance price of $59. Unfortunately, there are no aftermarket dials available for Orient’s in-house movements, so I had to figure out a way to make my own dial, using high-resolution printing on photo paper, hand made and applied indices, and many coats of lacquer. To this I added a set of sword hands, and the result is a small (by modern standards) watch with a large dial, with excellent legibility day and night. February 2015 – With the success of the photo paper dial for the Chicane above, I wanted to try making a dial using water-slide decal paper (like the decals that come with plastic model kits). I had recently seen Omega’s new Seamaster 300 Master Co-Axial in a shop window, and decided that a decent homage could be built from a Vostok Amphibia (Восток “Амфибия”). This is a 120-series Amphibia, purchased new from Chistopol City in December. The original bezel was replaced with a Dave Murphy bezel, to which I added a Seiko-compatible insert from Dagaz. The dial was made by sanding the original dial down to bare metal (and then a bit thinner still), applying a layer of luminous film, and then two layers of clear decal film printed with the dial artwork. The hands are stock, but relumed to match the indices. March 2015 – One thing I’ve discovered during my two years in the watch hobby is that most watches are too big. I thought my Strela was large at 38mm, and now have a few 40mm watches in my collection and had gotten used to the size. But just a few years ago, 40mm was considered huge, and a typical man’s watch was 34-36mm in diameter. My only small watch was the Sekonda described earlier, and I quite like the way it wears, so I thought I’d try another. The Alpha Explorer arrived as a direct homage to the pre-2010 36mm Rolex 14270 Explorer. I swore never to purchase from Alpha after having once purchased and returned a defective bezel insert from them, never to see my money again, but this one came up used, so I decided to give it a try. It came with a 14270-style dial (albeit in white, a colour Rolex never made), and I initially replaced it with an aftermarket no-logo black dial. In September 2015, I finally found the time to make a new dial, combining ideas from 14270 and older 1016 Explorer models. Instead of the typical Rolex “Mercedes” hands, I opted for vintage Tudor Ranger style hands. The size of this watch is perfect for me, and it’s one of kind. December 2015 – This watch has been on my radar for quite a while, ever since I first saw it on Poljot24’s web site. Two years ago, I narrowly missed winning one in a giveaway, and despite several trips to Poljot24 since then, I didn’t buy one until now. 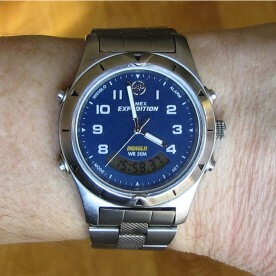 Like my “Evolution” above, this watch continues my move towards more traditionally sized watches. At 37mm, this reissue (by the same company that made the original) of a 1963 Chinese air force watch is my smallest chronograph. 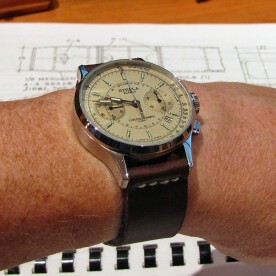 Equipped with a Sea-Gull ST-19 movement, this is also my first mechanical chrono that doesn’t use a Russian movement. The slightly off-white and subtly metallic dial, thin straight blue hands, and gold indices give this watch a simple, elegant, and unique look. April 2018 – I had my eye on this 3133-powered chronograph for a while but have only ever seen one example of it, on the wrist of a friend in the UK. She recently decided to thin her watch collection, and offered me this one at a great price. This is my smallest of my 3133 chronos, measuring 37.5mm in diameter, 44mm from lug to lug, and a svelte 12mm (for a 3133) thick. Like the Sturmanskie and Sea-Gull, it wears much better on my thin wrist than the Strela or Berkut, both of which I’ve sold for that reason. The style is very much like that of the Berkut, although a bit less bold. The only thing it is lacking, which I may rectify at some point, is lume on the hour markers, without which the reasonably good lume on the hands is not very useful. 2001 – My parents gave me this watch for Christmas in 2001 when I started my flying lessons, since I needed a watch that could display local time and UTC (also known as GMT, Greenwich Mean Time, or Zulu) simultaneously. It’s a solid watch and has worked flawlessly at what I needed it for. However, I’ve had problems whenever I’ve tried to use the alarm feature. I invariably get the watch into a state where it beeps continuously, the only way to reset it being to remove the battery. Perhaps there’s a bug in the firmware that is triggered if one pushes the buttons in the wrong order, or perhaps my watch is simply defective. Newer versions of this watch are usually available on eBay or Amazon. Thanks Richard. I’ve corrected it in the text of the article. Regarding the alpha explorer mod, where did you get the steril dial from?